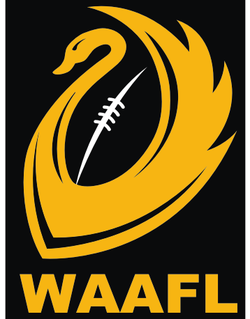 ABC Radio have taken out the 2018 WAAFL Media Award at the WA Football Media Guild Awards Night held at Optus Stadium on Tuesday 27 November. This is the third consecutive year ABC Radio has taken out the media award which is presented each year to the person/ team who has provided positive exposure to amateur football. 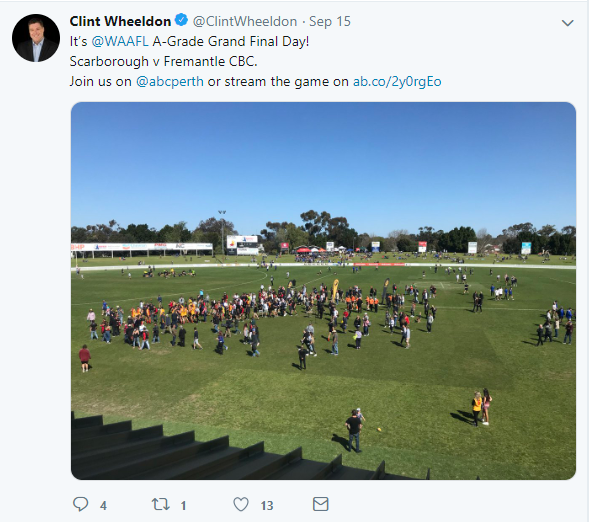 This year the ABC Team led by Clint Wheeldon provided invaluable coverage of the 2018 WAAFL A Grade Grand Final between Scarborough and Fremantle CBC. The ABC team described the action play by play for a wide audience as well as informed the listeners of some of the entertaining background stories involving the players. They also roamed the boundary line speaking to fans, parents, friends and known personalities in the crowd. 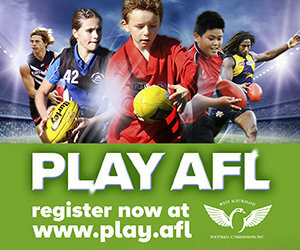 The broadcast on 720 ABC Radio allowed people both interstate and overseas to tune into the match, giving listeners positive exposure to amateur football.